When the Red Sox' starting rotation begins to outpitch the bullpen, the team will be on its way toward becoming an elite playoff contender. 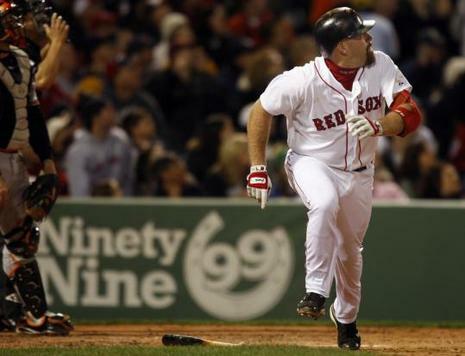 Until then, the Sox will gladly accept a four-hit, four-RBI performance by the red-hot Kevin Youkilis and three more scoreless innings by the bullpen, which resulted in a 6-4 win over Baltimore before 37,559 at Fenway Park last night and a ticket out of the American League East cellar. 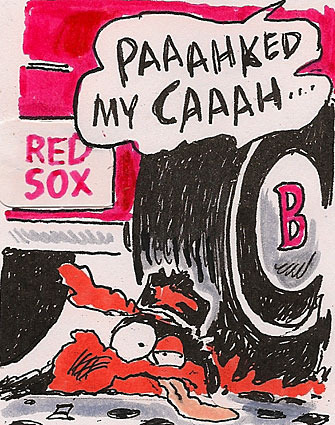 BOSTON - They're not looking for seven shutout innings or a complete-game, 10-strikeout masterpiece. The bar has been lowered so significantly already this season that Orioles manager Dave Trembley and pitching coach Rick Kranitz would probably settle for one of their starters getting through six innings and keeping his team in the game. Several Orioles - and Red Sox, for that matter - were clearly not pleased with the strike zone of plate umpire Doug Eddings. Leadoff man Brian Roberts was particularly perturbed by two calls in his first at-bat and one during his second. In the latter at-bat, Roberts carried on a heated conversation with Eddings before Orioles manager Dave Trembley finally came out of the dugout both to protect Roberts and get in his say.